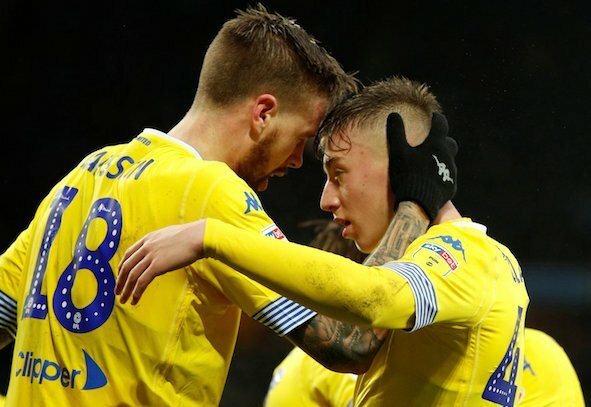 Jack Clarke is feeling a lot better, according to his colleague Jamie Shackleton. The 18-year-old attacker played the first 45 minutes in the 1-1 draw against Middlesbrough on Saturday, but was taken ill towards the end of the game. The match was held up considerably and Clarke was taken to hospital, where he was said to be responding to treatment. Talking on the latest episode of the Talking Shutt podcast, Shackleton said that he had spoken to Clarke and that he was doing well. “I spoke to him on the phone yesterday and he’s feeling a lot better,” Shackleton said. Clarke hasn’t been training with the Leeds squad this week and is set for more tests. This is great news for Leeds fans and for Clarke. It was a massively worrying moment on Saturday, for a player who has taken the game by storm this season. He’s broken into the Leeds first team and had reported interest from lots of Premier League sides such as Man City, Liverpool and Tottenham. The pressure on Clarke must be immense and, although we don’t know what caused him to be taken ill, it’s a stark reminder that young players need to be managed carefully and not exposed too much. Marcelo Bielsa has done this with Clarke, regulating his appearances and unleashing him when needed. He won’t be playing against Swansea and with the FA Cup break he might be back for the game against Bolton on Saturday 23rd. We should find out more information this week after the young attacker undergoes more tests.